Following on from my other post re the initial planning for this trip, the flights are booked, the newly arrived Rough Guides South Africa has been read - well parts of it. I think I have sketched out a reasonable itinerary for our 45 days on the ground. We will be renting a car and driving for the entire trip with the exception of our last week in Cape Town. We tend to travel at a slowish pace and like to keep it as flexible as possible. Too much or too little time anywhere? We are used to road trips having done several long ones in New Zealand, albeit in camper vans and, as far as I can tell, most of the drive times seem ok, although there are one or two longer stretches in there as well. A couple of points I am not too sure about are the wine route - is it worth it if we have visited vineyards many times before? The Cape Peninsula - is it worth staying down there and does it need two days? I did see a one day trip on a Harley Davidson that sounded like fun! Any thoughts would be much appreciated before I start getting in the detail. Well of course you're only going to get personal opinions. The "is it enough" or "is that too much" questions are unanswerable. This is a very lengthy trip, two or three times as long as any of my trips to SA. My own views are tinged with my preferences/tolerances to things like heat and humidity. Most of your KZN destinations, especially the coast around St. Lucia, are going to be very hot and humid when you're there, also rainy, so if that's something that bothers you, it might restrict your outdoor activities to some degree. I'd definitely get a car with a/c, and look for accommodations that offer it too. The northern KZN coast is also officially a malaria area, and while the risk is probably low, I'd definitely consult a physician before traveling to see if malaria prophylaxis is recommended. I don't believe the upland areas like Hluhluwe-Imfolozi or the Drakensberg mountains are in the malaria zone, but it's worth checking. I think as a rough outline it's fine, but I'd spend some time researching the various regions in depth. I'd also be bit concerned about "scenery burn-out" - how many stunning mountain scenes, or beautiful coastlines do you observe before you go into overload? Varies from person to person, obviously. My own style, with that much time and a car, would probably lead me to include a couple of additional areas while adjusting downward some of the time you're spending in others. Again, a personal view, but I'd be tempted to spend a couple of days on the Panorama route and in the Kruger area, and at the end I'd probably shorten the time on the Garden Route and in the Western Cape to include a couple of days on the Atlantic coast, around Paternoster and West Coast National Park. To me, the Winelands are as much about the scenery as the wine. It's a stunningly beautiful area, but unless you're really a huge foodie, I'd think a couple of days would do the trick. Franschhoek is the big food destination; I prefer Stellenbosch as it's a more lively (university) town with some killer architecture in the town core. But again, it's as much about the scenery as anything else. You're going about this the right way, keep at it. Edited to add: I've used the Portfolio Collection - https://www.portfoliocollection.com/ - to find B&B accommodations all over the country, and haven't ever felt let down. Just sayin'. Last edited by Gardyloo; Apr 17th, 2019 at 05:54 AM. Thanks for the input gardyloo. Of course I appreciate that any comments in a forum such as this are necessarily subjective and it is those opinions that I seek. The weather in KZN doesn’t bother me at all. We have spent the last twelve years travelling the world and have encountered some pretty extreme weather in all sorts of places. Looking at the weather charts, KZN looks positively balmy in comparison with many places we have visited. Thanks for the heads up on the malaria issue in northern KZN. The U.K. NHS map shows it as ok but the US CDC shows it as high risk. Having had malaria before, this was largely why I had avoided Kruger. We don’t take malaria prophylactics as we spend too long in malarial regions to make it either practical or advisable. Instead we carry treatment packs with us just in case. As we will only be spending a couple of days in the (Kosi Bay) I will likely risk it or may just drop that two days as it is going in the opposite direction to Drakensberg. We are foodies, in addition to our travel blog my wife also keeps a food blog. Will have a look at those links and possibly just spend the 2 days chilling in Stellenbosch as you suggest. The Panorama Route does look amazing but is quite a diversion for this trip so will probably give a miss. The portfoliocollection looks great and I may well give them a try as an alternative to booking.com and Airbnb etc. Some really useful stuff on their website. Thanks for sharing. Umhlanga Rocks is quite nice but much preferred staying in Durban, around Morningside. As I mentioned previously, I enjoyed staying along the south coast (Seaforth Airbnb near the pengies) and Muizenberg. Cape Point is easy from Seaforth. You can also do various boat trips from Simon's Town (15 minute walk from Seaforth). From Muizenberg it's easy to get to Constantia also. I might lay out a more detailed CPT itinerary and perhaps drop a night or two in town depending on what accommodations you find. I would allow a day for Table Mountain using Uber or public shuttles, a day for Kirstenbosch (it's a bit easier to drive, public transit isn't great and it does get crowded), a day for Cape Point, maybe 3-4 days for Central Cape Town. Depending on your route, there are also penguins at Stony Point (Betty's Bay). 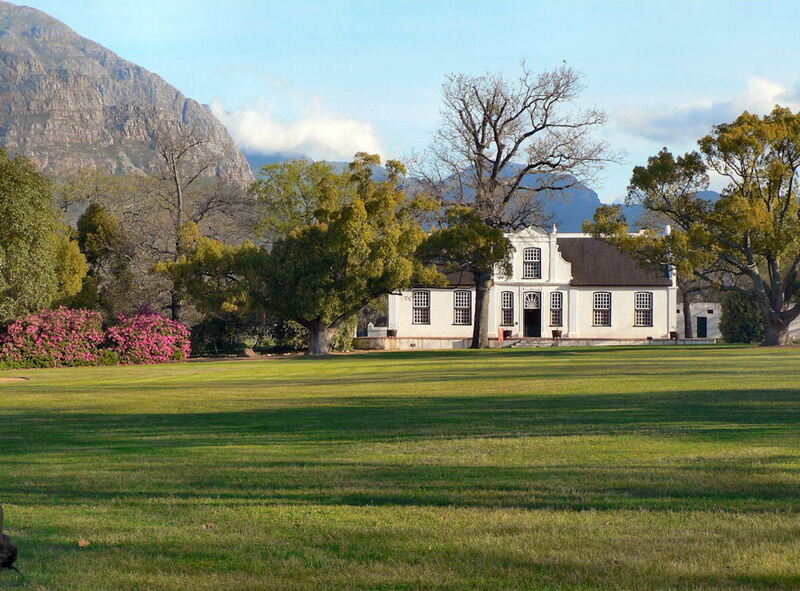 If good food is a priority, then you should definitely spend some time in Franschhoek as gardyloo suggests. We had some of our best meals in South Africa there. Many good spots to check out in Cape Town too. Odin - Thanks I will have a look at the Morningside area. Mlgb - I had saved both the Muize and the place in Seaforth from you previous post both of which are exactly what we are looking for. Having played around on google maps, I can now see that it would be easier to get to Kirstenboch and Constantia from tha side of the city. Drive times don’t seem too onerous from Seaforth so I am leaning towards maybe 3/4 nights there and dropping a night or two elsewhere. (7 nights in CT is non negotiable as far as my wife is concerned!). Is the cape point area south of Capetown worth that amount of time? TP - when I say foodies, we are more into local type food, street food etc. rather than high end type outlets, hence the inclination to stay in Stellenbosch for its "student vibe " . Look forward to checking out CT eating places so, if you have any specific recommendations that would be great. There doesn’t seem to be a street food scene at all in the cities of South Africa - at least I didn’t see evidence of any - like what we’re familiar with in other parts of the world. Even in the beach communities on the Cape Peninsula, I don’t recall there being much by way of local snacks; restaurants of all price ranges there were plenty. There’s a good and inexpensive restaurant in Company’s Gardens in Cape Town that is worth a visit; the food was very good and the atmosphere relaxing. The gardens is a good place to relax and unwind in general. Haven’t been to the other places you are visiting so I cannot comment on those. Kingklip is similar to Chilean congrio which is one of my favorite fish varieties. I know you like your steak and that is apparently the red meat of choice. I don't claim to have researched every steak house in South Africa, but everyone in our large group of friends enjoyed the food if not the service at the Cattle Baron branch inside Kruger (they all over the place). Even the house red is good, acceptable to the oenophiles. One of the nice surprises in Cape Town was the excellent and cheap ice cream at the Eastern Food Bazaar (recommended by one of the walking tour guides). It's apparently an after school tradition. Far better than the trendy ice cream in the courtyard of the Cape Heritage Hotel. My only experience with "Cape Malay" was the samoosas, chicken pies and fresh donuts from Seven Penguins in Seaforth. All were good. Woolworth's had good sandwiches and other things to grab and go. The best meals I had were the typical homestyle dinners at my guest house in J'berg. Not sure how to replicate that on your itinerary. As far as how many nights in the south. I think 3 would be fine. Cape Peninsula takes most of the day so 2 nights for that. It was so windy that I didn't visit all the possible stops or do much walking, other than to the lighthouse at Cape Point, but there was a longer trail to the actual Cape of Good Hope. If you have a Wild Card you might even want a day and a half (perhaps combine with the drive north up Chapman's Peak (toll road) when you head back up to a Central Cape Town Stay. The Seaforth Airbnb is a better location for that.. and bonus to see the pengies by a 10 minute walk to the public beach. The scenery along that set of beaches (Boulders) is nice too although water is too cold for me! It's easy enough to walk to Simon's Town from there if you have any interest in the boat trips from False Bay. Kirstenbosch and Constantia you could probably do in a full day combined. Muizenberg is a little more convenient for that and the beach is used by everyone (far less "tourist central" than the stretch of towns like Kalk Bay between there and Simon's Town.) There are a few of the "instagrammable" colored bath houses at Muizenberg beach..as well as The Muize had rescued a few. Traffic along the Main Road between Muizenberg and Simon's Town can be bumper to bumper (not fun in a manual transmission) so get a VERY early start if you decide to use The Muize as a base for the Cape Peninsula visit. It would be hard for me to chose between the two places..I really liked the mom and son who help run The Muize and the included breakfast was great. From some of the rooms or the front porch you can also watch the fog "curtain" being blown away from the mountains across the estuary, and walk around that estuary and into town was interesting. Being easier to get to than South America or New Zealand, you should probably assume that this won't be your only trip to South Africa (the other SA). Last edited by mlgb; Apr 21st, 2019 at 07:11 AM. Muizenberg is not an area I would personally choose to stay, it's nice to visit, beach is very nice but I'm not keen on that general area and not at all on Fish Hoek but that's just my personal preference. Simons Town is far far nicer IMO, has accommodations on hillsides which give beautiful views over the bay. There are so many beautiful areas close to Cape Town to stay with easy access to the winelands, Stellenbosch, Franschoek, Paarl etc. The winelands are definitely worth the visit, the mountains and scenery are really beautiful. You can order a picnic from some of the wineries and eat it amongst the vineyards, nice thing to do for lunch. Camps Bay, Clifton, Bantry Bay, Sea Point etc, all beautiful areas just outside of Cape Town, perfect places to stay. Hout Bay is a very nice too, small town with beach, lots of choice of accommodation, has a great Woolworths, essential for grocery shopping, lots of coffee shops etc. LLandudno is simply gorgeous but there is nothing there apart from (gorgeous) houses. Durban has a food scene of it's own, Florida Road is where there is a large concentration of restaurants, part of the reason we enjoyed staying at a B&B in Morningside, so we were walking distance to the restaurants. There is street food in Durban, had a bunny chow in Salt Rocks which is further north from Umhlanga and in fact those areas are very very nice, Shaka's Rock, Sheffield Beach, Ballito. We had a great meal at 9th Avenue Bistro (driving distance from Morningside), the latest reviews indicate it is still very good. Oyster Box hotel in Umhlanga is beautiful. Last edited by Odin; Apr 22nd, 2019 at 11:39 PM. Muizenberg town and the beach are more 'egalitarian' than the neighborhoods that Odin mentioned. Just to be clear on what he means by "nice" I would say he means "white". The town history is quite interesting (it was an Art Deco era resort) and it wasn't overwhelmed by chic tourists (as some of the "nice" towns were). There were reasonably good restaurants in Muizenberg a 10-minute walk from The Muize, including Lucky Fish and Knead Bakery. The side effect of an area being "nice" is that you'll often pay a lot more for lodging. Interestingly, the other tourists staying at The Muize could actually have afforded to stay anywhere. I stayed there because I was meeting up with a local who lived 5 minutes up the road in Lakeside (where there is a Woolworth's btw) but liked it enough to return for an open night. I didn't have any concerns with walking from The Muize into town or around the estuary during the day. The areas to the east of The Muize along the Main Road are not recommended for stopping on the highway, just to be clear. The township neighborhoods lie to the north and east. You'll find Cape Town still suffering the effects of its apartheid history and locals will advise on how and when to park which is not recommended along the side of the road in many places, best to park inside gates or near security guards. If you're alone and someone approaches, you leave or head toward other (white) people. I'm sure you'll read about issues around Table Mountain. Last edited by mlgb; Apr 23rd, 2019 at 07:33 AM. Greek experts, please give me a reality check on my itinerary.. Please help me with a reality check!